Holiday baking is probably most people’s favorite activity and tradition during the season, and since Thanksgiving is only two weeks away, I wanted to pass along this delicious recipe that’s perfect for serving as dessert. 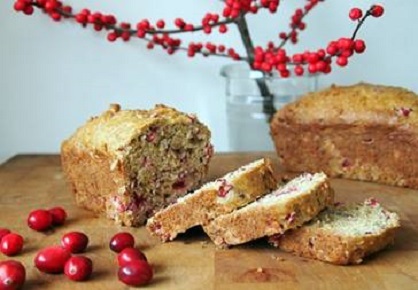 WearEver’s Pear & Cranberry Loaf recipe is easy to prepare, and is sure to be a favorite among all of your guests. 3.Stir remaining ingredients into the soaked oat mixture. Mix together well and spoon the mixture into a WearEver Pure Living Loaf Pan. 4.Bake for 45 minutes, until the top is golden and toothpick comes out clean. Cool for 5 minutes and then turn out onto a wire rack to cool completely.